Don Porcaro is a New York-based artist whose work explores the nature of human interaction with the physical world through archeology and man-made objects like tools and toys. His work has been exhibited nationally and internationally, and has been reviewed in The New York Times, Sculpture Magazine, Art in America, Artnews, BOMB and Newsday, among others. In 2007 he was the subject of a featured profile in Sculpture Magazine. This past year, he was commissioned by New Jersey Transit to create a sculpture for the Lite Rail platform at Jersey Ave. in Jersey City and in 2011 was the U.S. representative at the 50th Forma Viva International Sculpture Symposium in Portoroz, Slovenia. 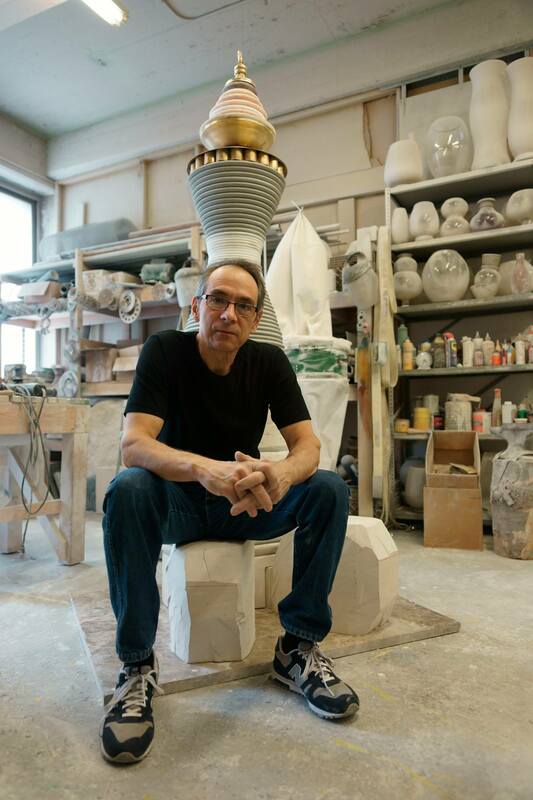 He been nominated for the International Sculpture Center’s prestigious Educator of the Year Award, and is the recipient of a 1991 Teaching Excellence Award from Parsons School of Design, where he has been teaching since 1975 and a Associate Professor of Fine Arts since 1986. Porcaro received his MFA in Sculpture from Columbia University. « Intern Celebration Event on December 4th!